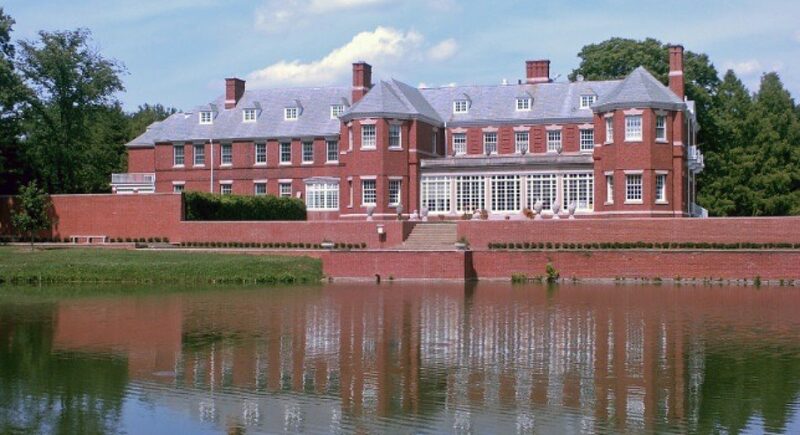 Leading Men Fiber Arts is excited to host the first annual Knitting at the Estate (KATE) Retreat at the breathtaking Allerton Park & Retreat Center in Monticello, IL in the fall of 2019. To inspire the community to utilize and value nature, history, and the arts through accessible and sustainable programming, research, and facilities.Built as a private residence by artist and philanthropist Robert Allerton in 1900, Allerton Park and Retreat Center is a historical treasure that was donated to the University of Illinois in 1946. The property contains 1,500 acres of woodland and prairie areas, a mansion and reflecting pond, a 10-acre meadow, formal sculpture gardens, hiking trails, and several lodging facilities.Away from the distractions and noise of everyday life, Allerton offers a unique opportunity to experience art, nature, and history. Explore 14 miles of hiking trails, wander through formal gardens with over 100 garden ornaments, and marvel at the quiet, expansive grounds. Organized programs open to the community and visitors include outdoor concerts, youth summer camps, themed dinners and educational events, nature hikes, and tours.Allerton has become a destination for meetings, conferences, weddings, retreats, and special events for people from all over the country. Businesses and organizations find the secluded, intimate setting offers time and space for quiet reflection and truly creative thinking. Wedding couples and guests are offered a truly unforgettable experience in the sun-kissed gardens or majestic Mansion. Sign ups will be available for the entire 2 week duration. Selections will be made via lottery. All food restrictions and requests will be met by the chief. Make sure to note any restrictions or requests on the sign-up form.